The Pinemeadow Pre 16-Piece Complete Golf Set includes: driver, 3-wood, 3-hybrid, 4-9 irons, pitching wedge, putter, stand bag, and three head covers. The driver is Titanium enhanced to give the golfer a maximum distance drive. The driver face is at 10.5 which will give you a pretty decent loft angle. This driver is very forgiving but without the loss of distance on your drive. The shaft of the driver is made out of graphite and it comes with a custom head cover. The 3 fairway wood is a 15 degree wood with a graphite shaft. This 3-wood has a low profile head design in order to get the golfer those straight shots from the fairway as well as out of the rough. It also comes with a custom head cover. 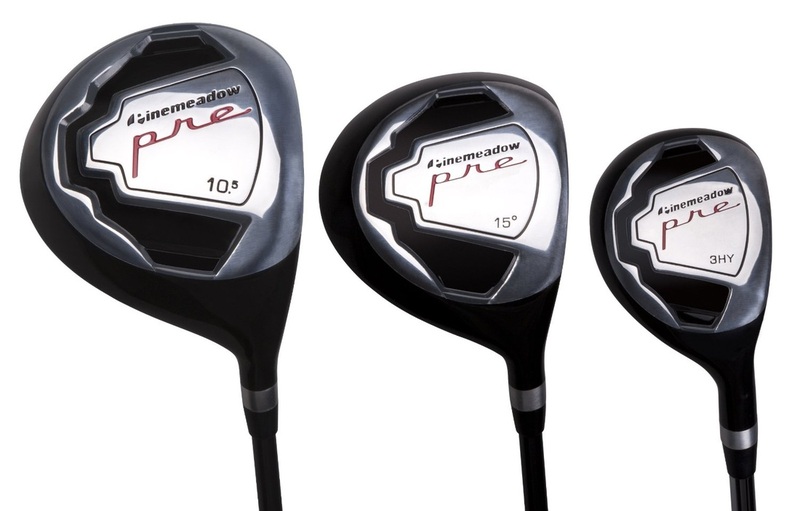 The 3 Hybrid has a steel shaft and is there for you whenever you need it. The 21 degree hybrid allows you to have options in your game. 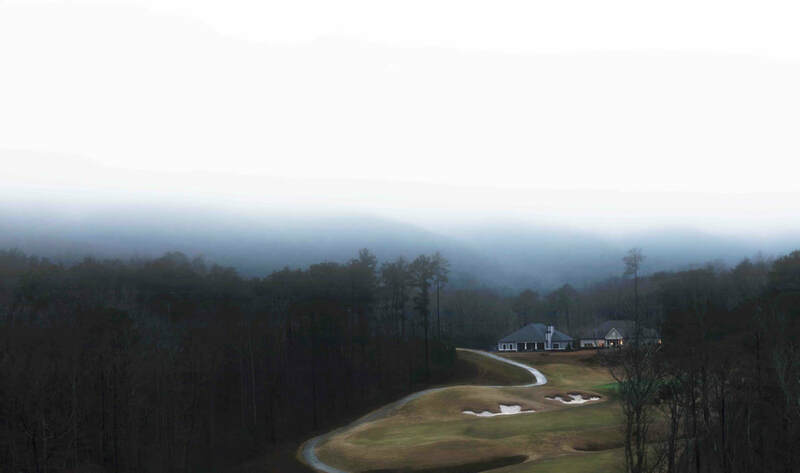 The Pinemeadow Pre 16-Piece Complete Golf Set comes with 4,5,6,7,8,9, and PW irons. They all have stainless steel shafts. The heads of the irons are weighted and the face has a big sweet spot that is very forgiving. The irons allow you to control and lock down your shot. Overall they again are not the best irons in the world but they get the job done and for the price, are pretty decent. The mallet putter allows you to align every shot. Practice makes perfect, but with this putter you can feel confident in your putting game. Not the best putter but it will get the job done when your first starting. Lightweight dual strap carry bag with kick stand and a rain hood. 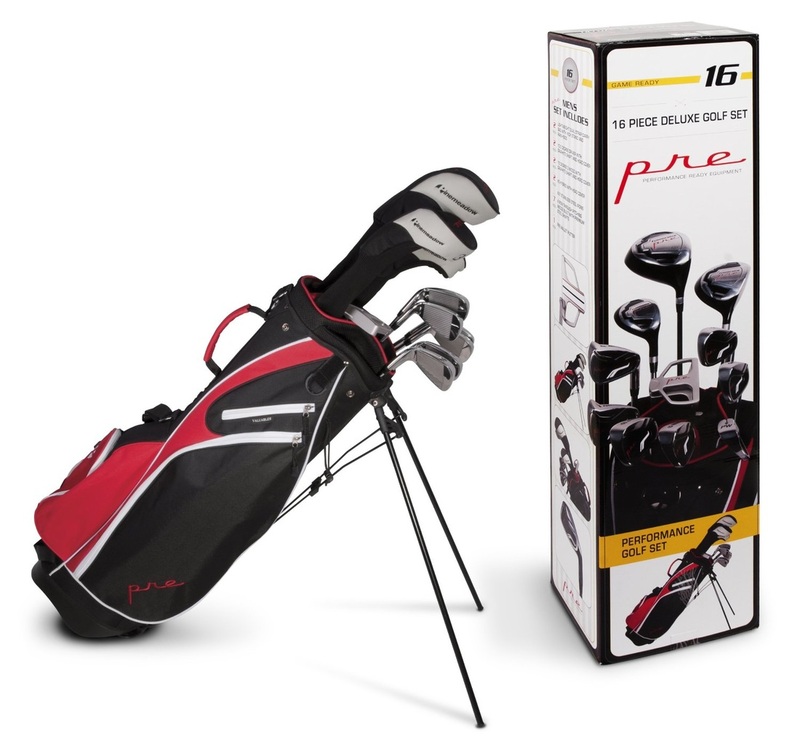 The Pinemeadow Pre 16-Piece Complete Golf Set is a good all in one beginner set. Though the clubs are not the top of the line, they will get the job done while you work on your game. Golf is all about playing the game, not about what kind of equipment you have. All you have to do is get your form down and hit a lot of balls. These clubs will help you get to a better level. If you are thinking of buying a new set of clubs, your search is over. Click here to buy! "As a beginner golfer, I needed a set of clubs that was affordable (In case I decided I didn't like playing golf) and of a descent enough quality that I would be able to learn effectively. After doing my research, I decided on this set. I couldn't be happier with my choice. The clubs are fantastic. My co-workers/friends with over 20 years of golfing experience tried them out with me and agreed that for the money, these clubs greatly exceeded their expectations even. I can keep up with the better players, and it doesn't hurt that the clubs look great either." "As soon as they arrived, I examined each one of them and let me reassure you that they were much better looking in person. They seem to be very durable and knowing that most of the clubs are stainless steel made that obvious. The driver and the 3 wood have a graphite shaft which suits those particular clubs very well. I am very, very pleased with my purchase!" "Very nice package. All the clubs hit well, I like the fact that the hybrid has a steel shaft; I think it makes it a little easiest to be consistant with. The driver and 3W are nice and hit well and I like the fact that it has irons 4,5,6,7,8,9 & PW." The best deal I have seen on the Pinemeadow Pre 16-Piece Complete Golf Set is on Amazon.com. The current price is $161.54. Also when you buy through Amazon, you will get free shipping. With this price and free shipping, Amazon is your best deal! Click here to buy.